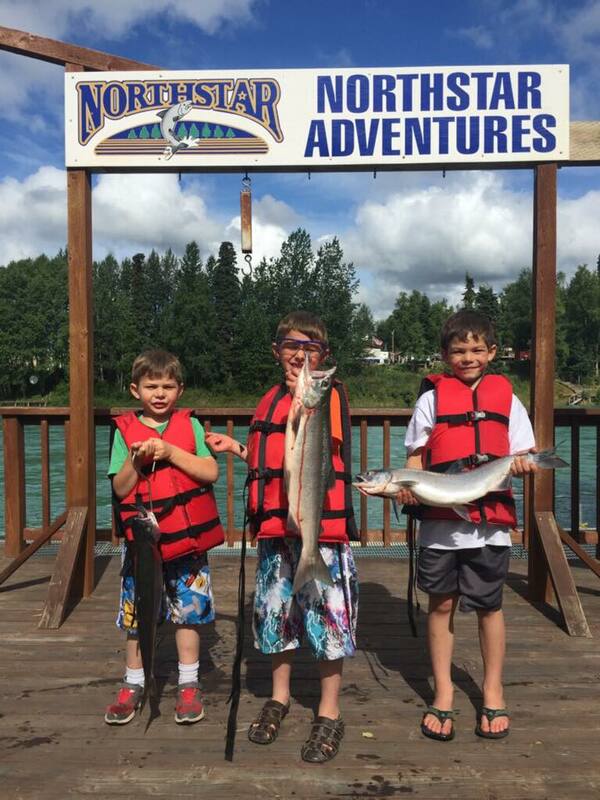 Our spacious Kenai River Lodge is perfect for large groups. 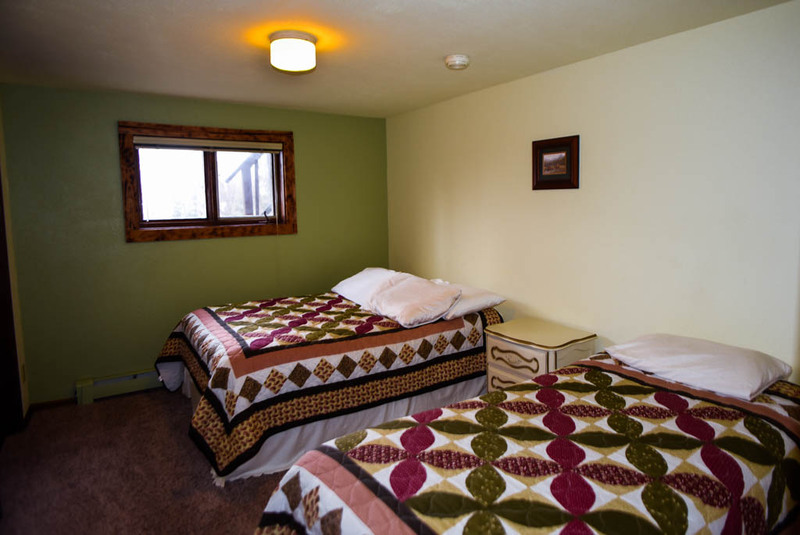 It’s conveniently located close to Soldotna. 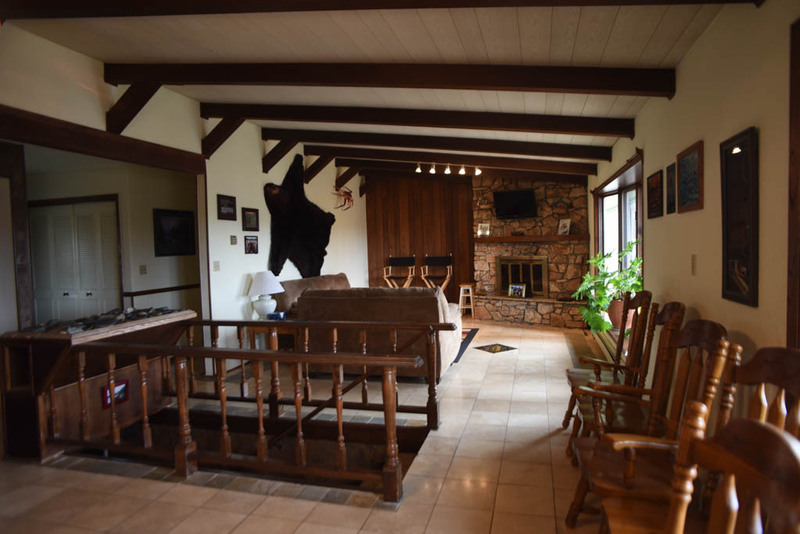 $700 per night for up to 6 people. $70 per person over six. In the fall of 2010, a very special piece of property was offered for sale. The property had everything Mindy and I were looking for in an investment. 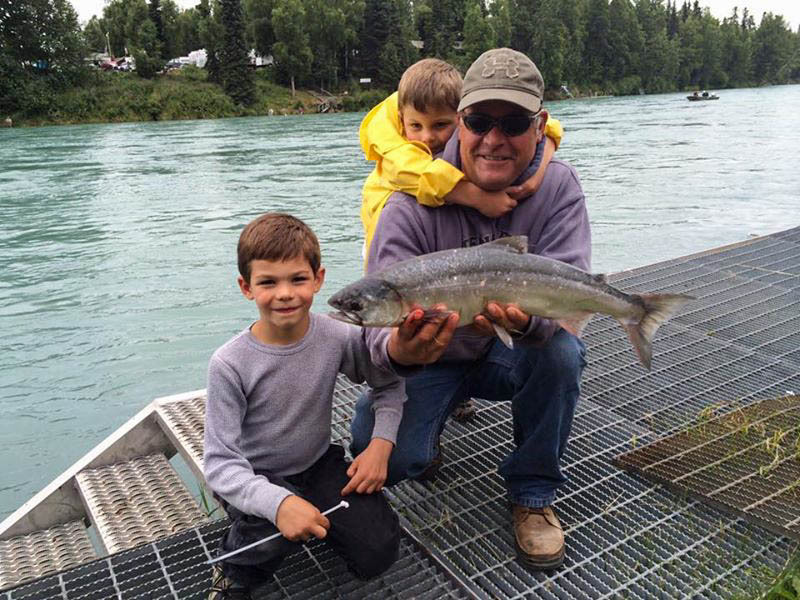 Very close to Soldotna (less than a ¼ mile), on the Kenai River, and large enough for a big group but small enough to manage and maintain. We made an offer, the offer was accepted, papers were signed and Mindy and I launched what has proven to be an incredible addition to our business and a huge source of pride and satisfaction. 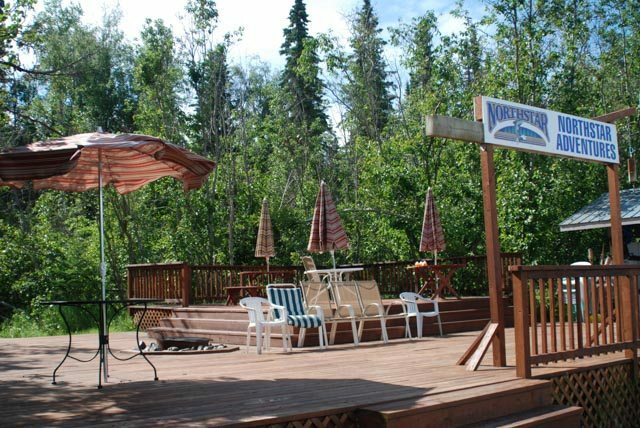 The property is a large 6 bedroom, four bath home located at one of the most sought after stretches of the Kenai River. 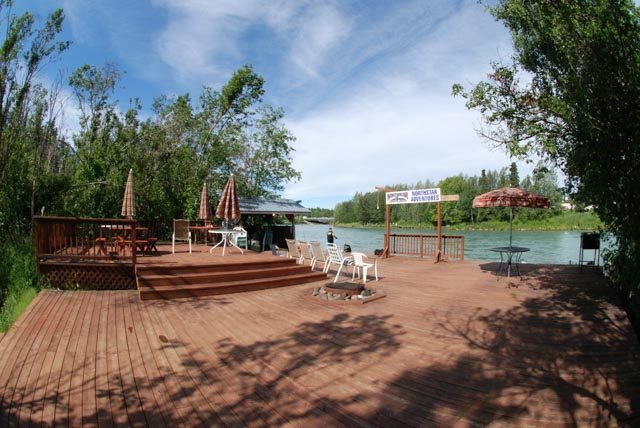 We have a huge deck at the river with a fish rack, covered fish cleaning station, sunken fire pit, refrigerator, stereo system, BBQ grill, a dozen tables and plenty of chairs for a small army of fishermen. 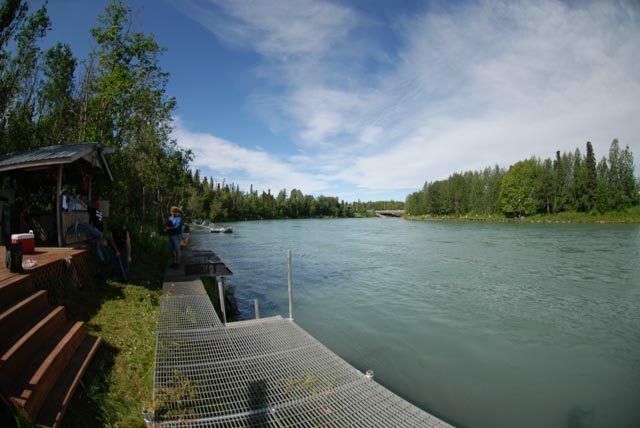 There is a 100 foot fishing platform providing elevated fishing access to the world famous Kenai River. Four separate species of salmon swim by the platform and literally thousands of trophy rainbow trout and dolly varden char migrate and reside in the waters behind the lodge. Our dream was to provide visitors to the area a facility that they could feel at home and enjoy exclusively. This is a place where anglers could wake up, enjoy a home cooked breakfast and walk down to meet their guide at the river. 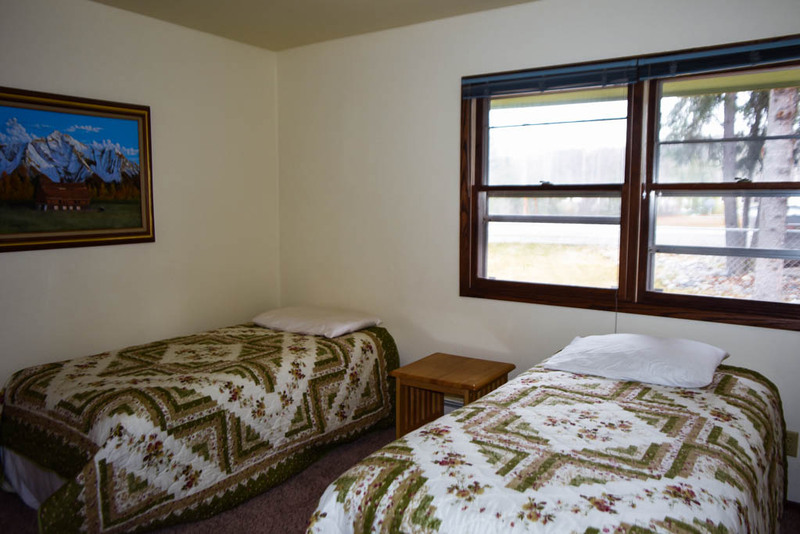 We rent the entire facility out starting at a very reasonable $700 per night (for the first 6 people) and it has beds for up to 19 guests. 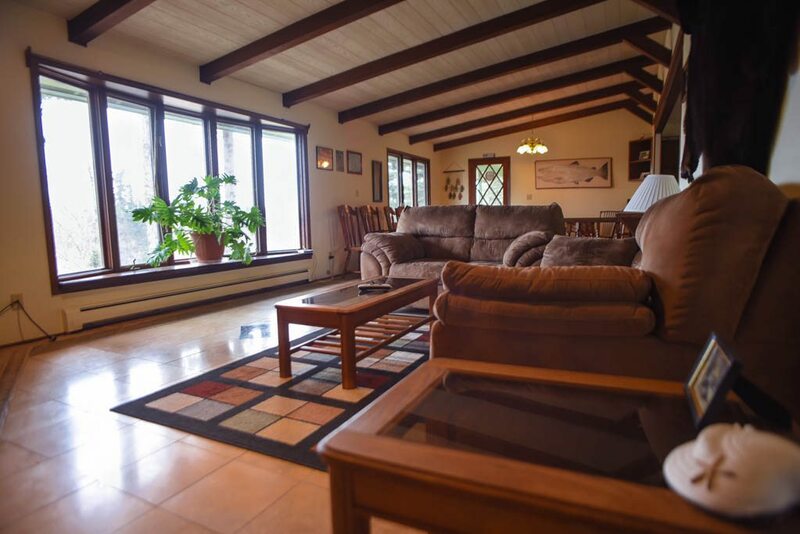 We encourage our guests to enjoy the large fully furnished kitchen with family meals and group gatherings. 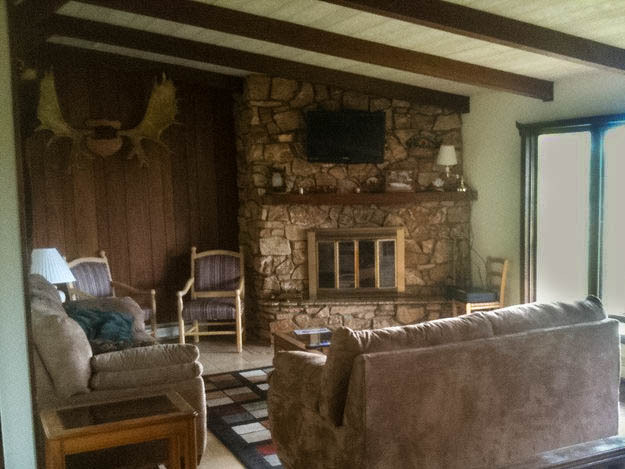 We have a stone fireplace, flat screen satellite TV, Wi-Fi, washer/dryer, wood stove, and all of the conveniences of home. 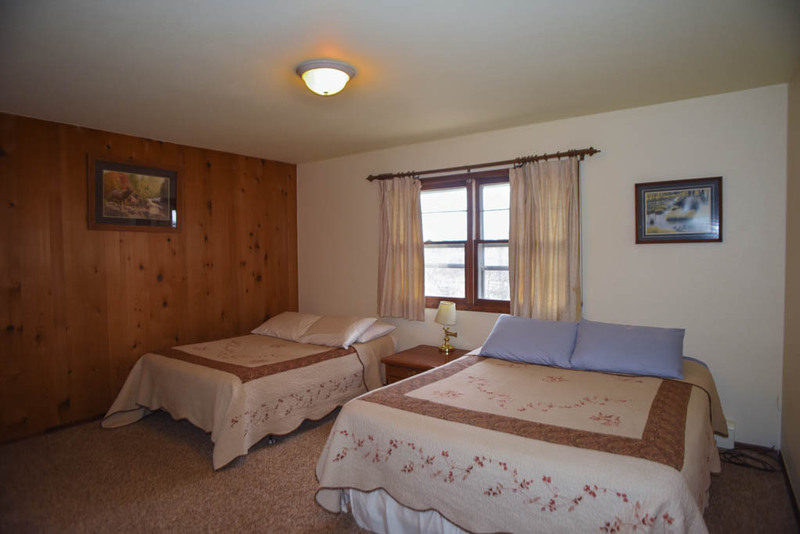 We very much want folks to feel like they have their own private Alaskan lodge, and the fact is, that is exactly what we are offering. 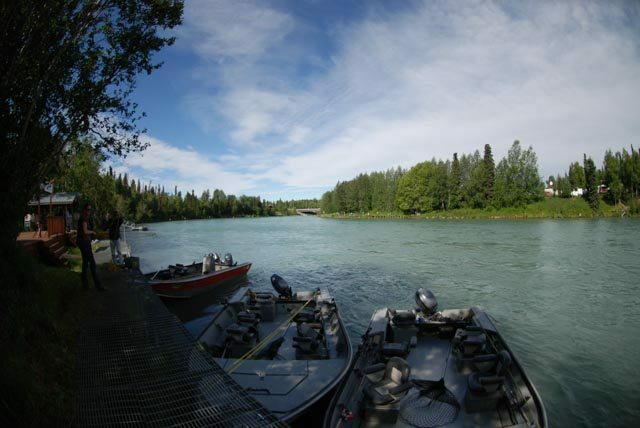 Interested in staying in our Kenai River Lodge?